On Top of the World | Just Shooting Memories! 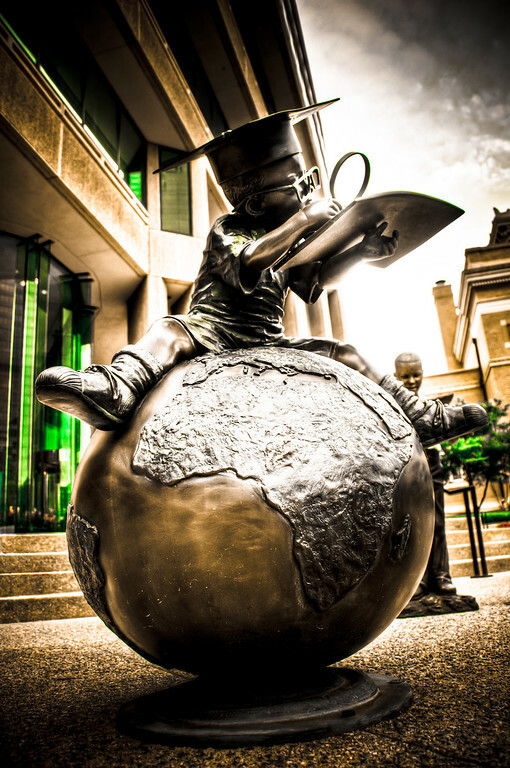 This statue is in front of the Boys and Girls Club of America headquarters on Peachtree Street in Atlanta. I was having tons of fun taking photos around this area and ran across this one. I had to wait a couple minutes for my turn, but I think it was worth it. This status is only a few feet tall, so I had to lay down to get this angle. I got a few odd looks for it. It’s all in a days work. Visual proof that if you work hard there is no limit to what you can do. Even making it on top of the world.